Transform any room into an indoor garden with a custom designed Greenhouse Window or Mini-Solarium from Armor. Greenhouse windows protrude outward from the home, allowing more light. Great for seedlings and high-maintenance plants, these windows can feature shelving on multiple levels to maximize space. They can also feature an awning-style top with a crank and pole to allow airflow from the outside without having to reach. They’re economical and built to last. Presenting a unique integrated shutter system for your windows! Now you can order your windows with interior built-in shutters complete with trim. Shutters open into the room to open and clean the window. These are ordered at the same time as windows. Presenting a unique mini blind option! Shades of your personal style start with something exclusive – blinds you never have to clean! 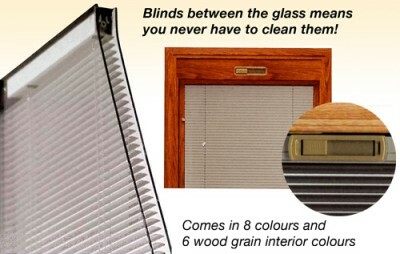 These adjustable mini blinds are sealed between the panes of glass, offering less maintenance and more style. Available in 8 colours and 6 different interior woodgrain options. Contact us for more information. There are thirteen standard window colours for you to choose from. We can also custom colour match your Armor windows, so they co-ordinate with any existing outdoor decor finishes. Solar Bond paint is developed specifically for PVC windows and doors to penetrate below the vinyl surface. Our Solar Bond system uses environmentally-friendly, waterborne-based paint especially formulated, designed and developed for superior adhesion, heat resistance and reflective to ultraviolet rays. All standard paint coatings will resist fading and are covered by a 15-Year Solar-Bond exterior colour warranty against peeling, blistering, flaking or cracking. The minute I walked into Great Lakes, I felt like I was with friends. I told Cathy what I wanted and It was done! And reasonably priced. The workers who installed my windows and shutters were friendly, fast, and very neat. They know what they're doing. I just love my new windows and shutters. I've had them here twice and I intend to have them here again to replace my front door. 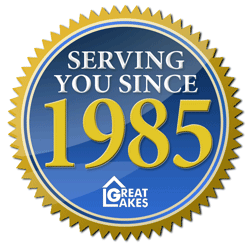 It was a real pleasure to deal with Great Lakes. I would highly recommend them.